Hairspray – it’s a common beauty tool used to help keep one’s hair in place. However, sometimes hairspray can be a little daunting to use as it can be expensive and even irritating to the skin. Because of this, it might be a good idea to consider using an alternative to hairspray. This article will explore more behind hairspray and some options you can use if you want to find something to replace your hairspray routine. Hairspray is a special solution that you can spray over your hair to help keep it in place to prevent it from frizzing or flying around in the wind. A hairspray bottle usually sprays a very fine mist over your hair where it will then fall onto it and create a solid protective covering. When you look on the back of a hairspray bottle, you might be surprised to find that it contains many ingredients, many of which you more than likely have never heard of. A common ingredient in hairspray is PVP. PVP, which stands for polyvinylpyrrolidone, is a water-soluble polymer. It’s designed to help absorb oil or water on your hair and then seal it so your hair strands stay in one place. Another ingredient you’ll usually find in hairspray is vegetable gum. This helps to thicken up the spray so it can create a protective covering over your hair. It’s also meant to help provide your hair strands with flexibility so they don’t easily break when you brush them. In addition to these, most also contain isobutane, propane, and gum arabic. While the actual ingredients will depend on the brand you buy, most hairspray batches include these items. While hairspray can be helpful in some ways, it can also be a major hassle. Below are some of the most common problems about hairspray. While not all hairsprays are going to break the bank, many can be a little pricey, especially if they are designer brands. Because of this, the costs can eventually add up. Some hairspray formulas contain chemicals in them which can be very dangerous to your health. In fact, many hairspray products contain dangerous chemicals in them like Carboxymethylcellulose and Hydrofluorocarbon which can absorb into your skin and cause irritation. When you spray the hairspray, the mist goes into the air. Because of this, some particles might end up falling into your eyes and bare skin. This can eventually cause slight irritations, such as itchiness or redness. Hairspray might work to calm your hair from fraying, but if used too much, it can make it actually dry out. This is because it contains high levels of alcohol which can react with heat. When it does, the heat can strip hydration off of your hair which can make it dry. Besides this, it can also make your hair look a bit staticky because the ingredients in the hairspray and air are reacting with each other. When you use hairspray, you need to make sure to wash it out every day. Otherwise, it can start to wear off and make your hair greasy and frizzy. Keeping hairspray on your hair can also make it lose hydration resulting in dull and dry hair. It can be a little difficult to tell what exactly you need to look for in a replacement for hairspray. However, there are a few things you can consider before investing in an alternative. While some alternatives can be made yourself with natural ingredients, sometimes they can’t be. Just as with hairsprays, some can be very pricey, and investing in quite a few of them over time can eventually add up. Because of this, it’s ideal to consider setting a price range before beginning your search. One problem with hairspray is that it can sometimes be difficult to use on sensitive skin. When shopping for a hairspray replacement, you might want to look for hypoallergenic products, most of which are made with gentle ingredients and free from sulfates and parabens. This way, you won’t have to worry about it causing breakouts or irritations. Another thing to consider is if a replacement has any health benefits. Can it help with hair loss? Does work to heal dandruff? 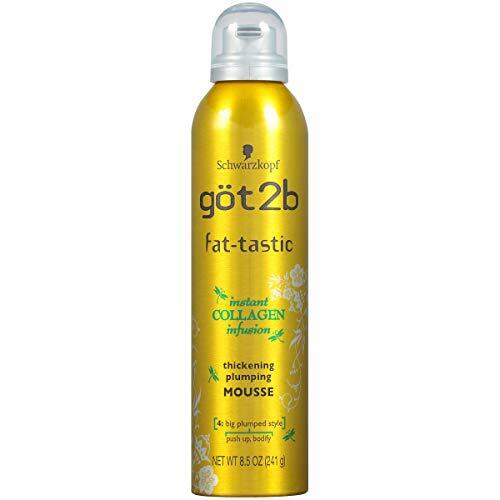 Ideally, a replacement for hairspray should be able to give you great hair health with its ingredients. Some helpful ingredients to consider looking for are added antioxidants, iron, honey, and egg whites. Otherwise, you might just end up spraying harmful chemicals on your hair, just as with hairspray. For some options, they might be a little tedious to use. For instance, one might require you to let it sit in your hair for a few hours in order to work well. This can make it difficult for certain people to use as they might need something quick and easy. Due to this, it’s a good idea to check to see how you need to use it and how often it needs to be put on your hair before you start to see results. Some alternatives will require you to massage their formula into your hair with your hands while others will just have you spray a mist around your head. It’s important to consider the method you need to apply the alternative with as some might be harder than others. For instance, if you want to use something in your office, you might want to use a quick spray bottle to freshen up your hair. Because of this, it’s a good idea to consider the method needed to apply the liquid or spray to your hair. DIY and Commercial Options – Which is Better? You’ll find that most hairspray substitutions are either DIY or commercial options. Because of the endless choices for you to choose from, it might be a little difficult to find the one that’s best to invest it. If you want something quick and easy, a commercial option is probably the way to go. This is because these are pre-made and can be used on the go. Despite it being a convenient option though, many commercial products sometimes can cause skin irritations and contain chemicals like sulfates. On the other hand, if you’re looking for something natural to use on your hair, a DIY option is probably ideal. Most DIY alternatives require you to use fresh ingredients like egg whites and olive oil which are not often included in commercial options. Keep in mind though that some DIY options do require you invest some time in them in order for them to work well. One alternative to consider is texturizing spray. 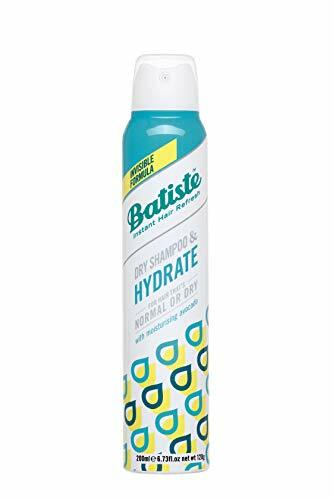 Similar to hairspray, this type of spray helps to add texture to one’s hair and doesn’t leave your hair as crunchy as hairspray can sometimes do. Because of this, many people often use it to spray on their everyday hair rather than hair that has been styled. You’ll find that texturizing spray often contains beeswax in it which can help with keeping your hair from frizzing and getting out of order. Besides this benefit, beeswax can also help with moisturizing your hair and even encouraging hair growth. While it can be used on all types of hair, including braids, this spray can also help to give you the often coveted beachy waves look. When misting this texturizing spray on your hair, you’ll often find a nozzle on the top, such as with hairspray bottles. However, unlike hairspray, this type usually has a pre-measured amount in the top so you get the right quantity each time you use it. Besides helping to preserve your hair’s look, most of these sprays also can help with absorbing grease. This makes it ideal for those who often have oily hair or who don’t usually have time to wash their hair to use. Dry shampoo is another choice you can try out. Designed to help reduce grease on your hair and clean it up, dry shampoo works to keep your hair’s color vibrant and also add volume to it. However, sometimes this option isn’t always the best to use if you want to keep your hair in place. When shopping for dry shampoos, you’ll find they come in three different forms: powder, liquid, and spray. A powder dry shampoo involves you pouring some of the powder on your scalp. Eventually, the powder will get to work dissolving into your hair to help clean it and give it volume. Many of these powders also have scents, such as floral or fruity ones, which can help to make your hair smell good. Most of these are also free from harmful chemicals like sulfates and parabens. A liquid dry shampoo is like a lotion for your hair. This type is often packed into a bottle which contains a pump on the top. You can then use this pump to pour some shampoo into your hand and then massage it gently into your hair. However, if you want to use this type, be aware that you need to make sure to massage it in well. Otherwise, it might leave your hair looking knotted and greasy. A spray dry shampoo is very similar to hairspray as you mist the formula over your hair with a nozzle on the top of the bottle. This makes this form ideal for those who are constantly out and about to use. Dry shampoo is ideal for those who want something quick and easy. However, keep in mind that sometimes it might cause skin irritations. Because of this, it might be a little problematic for those who have sensitive skin. Keep in mind as well that despite its name, dry shampoo doesn’t take the place of regular shampoo. This type is designed mainly to be for things like if you need to freshen your hair up for a few hours. Shea butter does exactly what hairspray is designed to do, but does so in a much healthier and safer way. Shea butter contains high amounts of vitamins and healthy fatty acids that work to hydrate your hair and ensure no split ends or frizziness occur. In addition to this, shea butter also helps to calm down an inflamed scalp meaning it’s often safe for those who have sensitive skin to use. You’ll also find that shea butter can help to stop excessive oil on your hair as it levels out the sebaceous glands production in your scalp. 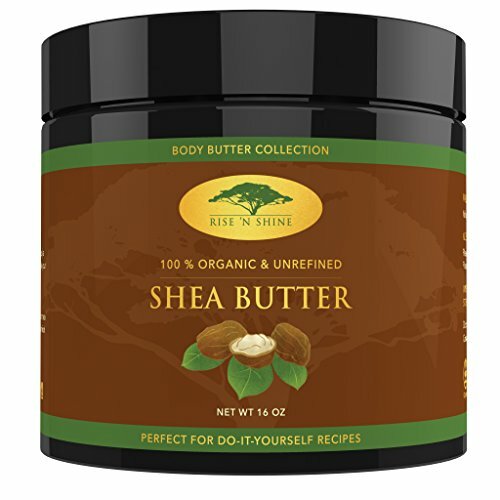 Besides its health benefits, shea butter also can protect your hair from harmful UV rays. This makes it ideal for those who have color-treated hair to use because it will prevent the color from fading due to strong sunlight. To use shea butter on your hair, all you need to do is scoop some out with your hand and then massage it into your hair. You’ll want to leave it in for about 30 minutes to an hour before washing it out with warm water. You can also leave it in your hair if you want, but it might make it feel a little greasy. Mousse is known throughout the hairstyling world for being a great way for helping to keep hair in place without making it greasy or weighed down. Hair mousse is made with a light consistency that foams into your hand when you spray it out. You can then massage it into your hair so it covers all areas of it. Just as with hairspray, mousse can help to keep your hair in place. Unlike some hairsprays, mousse can actually add volume to your hair. You also need to make sure your hair is wet beforehand so the mousse can dissolve into the hair strands and work well. You can then take a hair dryer and dry your hair so the mousse stays stuck to it. While mousse can be used on all hair types, it’s especially ideal for curly hair as it can reduce frizziness that is common with it. However, just as with hairspray, too much mousse can actually dry out your hair which can make it feel a bit delicate and even cause split ends. Because of this, you need to be careful to not use too much mousse at once. 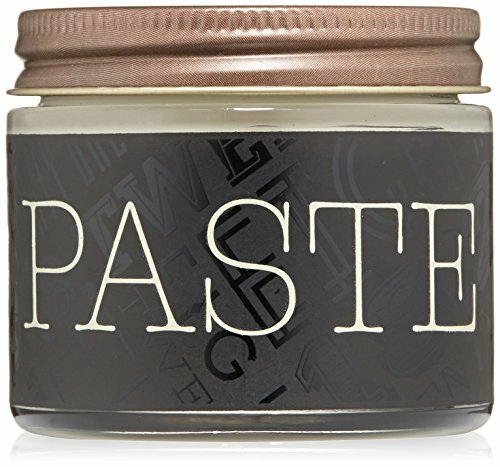 Hair paste is similar to styling clay, but it is a bit thicker and can range in its consistency. So, the thicker your hair is, the thicker you’ll want your hair paste to be. Hair paste can work to keep your hair in place well, although too much of it can sometimes make it very stiff. However, unlike hairspray, hair paste can make your hair shiny and can be easily washed off with water so there’s no need to worry about parts of it being left behind. Ideally, hair paste should be used on dry hair as using it on wet hair could cause breakage and split ends. However, if you have long hair, it might be a good idea to look for something else to use, such as mousse or dry shampoo, as hair paste is designed mainly for those with short and thin hair. Yes, clay can actually be used as an alternative to hairspray. This is mainly ideal for those have fine hair to use as it doesn’t always work as well with thick hair. Similar to hair wax, styling clay helps to detangle the hair, such as with hairspray, but keep your hair looking natural. It also helps to clean off your hair because the clay contains properties that strip it from toxins that make your hair look dull and greasy. 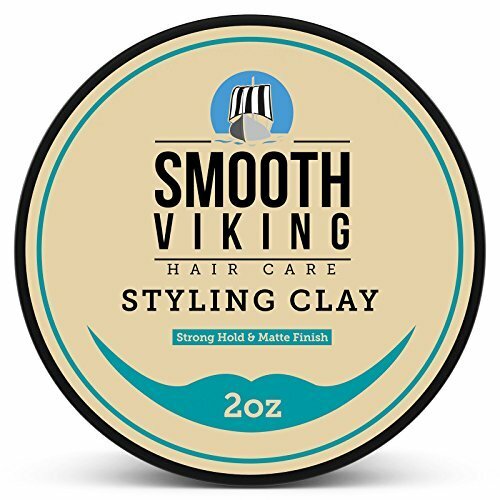 When using styling clay, just take a little bit out of the container with your fingers and massage it gently around your scalp. This will help to evenly distribute the clay so it can protect your hair. Aloe vera is well known for its healing properties for skin, but what many might be surprised to learn is that it can help with hair health as well. It will not only hydrate your hair and scalp, but it can stop dandruff and even give your hair a stunning shine. This makes it much more versatile than traditional hairspray. You’ll find a few different ways you can apply aloe vera gel to your hair, but the most common is with raw aloe vera gel. You can take an aloe vera leaf or pure gel from a bottle and massage it into your hair. You’ll want to leave the gel in your hair for about an hour before washing it out. While you won’t leave this gel into your hair all day such as with hairspray, you do need to make sure to keep up with using the gel a few times a week. This way, you’ll get the full benefits of the gel and your hair will eventually start to stay hydrated and form volume. Eggs whites are packed with protein, something your hair needs to stay strong and healthy. While you can’t walk around with egg whites massaged into your hair, you can make a DIY mask for them the night before you plan to head out. To do so, take some egg whites (about 2-3), whisk them up in a bowl, and then massage them into your hair. The eggs whites will help to control frizziness and split ends, like hairspray, but also work to give your hair a stunning natural shine. After about 15-30 minutes, carefully wash the mask off with warm water and brush your hair out. Unlike hairspray, it’s safe to use often on the skin as it doesn’t contain chemicals or make your hair eventually dry out. It might even help with hair loss as the protein in eggs can increase circulation in the scalp resulting in significant hair growth. Molasses is surprisingly a great thing to use on hair as it contains high levels of iron and antioxidants. Not only will this help with creating strong hair strands, but it can even help to prevent hair from turning gray. Besides this, molasses can also work on your hair like a conditioner which means it can keep your hair smooth and shiny. To use molasses on your hair, you need to take a small amount of it on your finger and then rub your fingers together to warm the molasses up. You can then rub it on a specific area of concern, let it sit for a bit, and then wash it out. However, because of molasses’ consistency, it will take a few times before it’s fully washed out. Because of this, it might not be the best option for those who need something quick to use. Olive oil is very beneficial to use on your hair for many reasons. It contains healthy fatty acids which work to strip the hair of harmful oils and toxins. Because it does this, olive oil can help your hair to grow faster and stronger, so your hair looks vibrant and voluminous. In addition to helping with hair health, it can also work to heal many common scalp issues, such as dandruff and eczema, because it will hydrate and soothe these irritated areas. To use a hot olive oil treatment on your hair, simply warm up about ¼ cup of olive oil in the microwave and then pour it slowly over your hair. You then want to quickly massage the oil into your hair before it drips off of it. Once you do so, wait about 5-10 minutes so the oil can soak into your hair and scalp and then wash it off with warm water. Keep in mind that when heated, olive oil can be very hot. Because of this, be careful that it is not scalding when you pour it over your head. Otherwise, you might end up severely burning yourself. You can make your own lemon spray for hair by taking about two cups of filtered water and the juice of one lemon. Mix these two together and then bring the liquid to a boil over a stovetop. Then, pour it through a sieve to help filter out any seeds or fibers from the lemon that were missed. Once you do this, you can transfer the mixture into a clean spray bottle. When you want to condition your hair with it, just take the spray bottle and mist it over your scalp. If you have very dark hair, you might want to consider using orange juice in place of a lemon. This is because orange juice won’t lighten your hair as much as a lemon will. Oranges still have many of the same benefits for hair that lemons do, such as high levels of antioxidants and increasing circulation in the scalp. Another alternative you can try out is flaxseed gel. Flaxseed contains high levels of Omega-3 fatty acids which can prevent hair loss and hydrate the scalp. It can even help to prevent hair damage down the road as it will nourish the hair roots so they stay strong and healthy. While you can buy flaxseed gel, it’s often recommended to make it yourself as you can use it immediately so you get all the benefits of it. To make your own, take about two cups of water and mix in ½ cup of flaxseed. Put this mixture over the stove on medium heat and stir it around until it starts to thicken up. Once the mixture creates a paste-like gel, you can remove it from the stovetop, let it cool, and then massage into your hair.